Barbara Lewandowska-Tomaszczyk is a graduate of the University of Łódź, where she is Professor Ordinarius and The Head of Chair of English Language at present. Her research interests are primarily in semantics and pragmatics of natural language, corpus linguistics, and their applications in translation studies and lexicography. She has published a number of books and papers in those areas and organised numerous conferences and seminars. Over the years she has been invited to read papers at international conferences and to lecture and conduct seminars at European and American universities. Piotr Pęzik received his MA and PhD in linguistics from the University of Łódź. In the years 2006-2009 he was as a member of the text mining group at the European Bioinformatics Institute in Cambridge, UK. 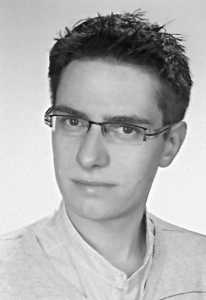 Piotr has authored a number of publications and tools in the field of Information Extraction and Information Retrieval. As a member of the PELCRA group he was responsible for the development and implementation of the PELCRA Reference Corpus of Polish as well as the PELCRA Search Engine for NKJP. Recently, he has been working as a member of the CLARIN-PL consortium. Stanisław Goźdż-Roszkowski received his MA and PhD in English Studies from the University of Łódź, where he is Adjunct Professor at present. His research interests are primarily in corpus-based analysis of texts, especially legal and business texts. His other academic interests include: written discourse analysis, genre analysis, corpus linguistics and its applications in translation studies and lexicography. Jacek Walinski is a graduate of the University of Łódź, where he is now an assistant lecturer in the Department of English Language. He teaches ESP in the areas of Business English and Computer English. His research interests include applications of computers, the Internet, and corpora in linguistics, EFL learning/teaching, and computer-aided translation. Anna Cichosz works at the University of Lodz (Poland). She specialises in historical linguistics, and her academic interests include: history of English and other Germanic languages, mechanisms of syntactic change, Old Germanic culture, Old English and Old High German language and corpus linguistics. 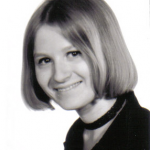 She has created the ENHIG database, having worked on the project both in Poland, under the supervision of Professor Barbara Lewandowska-Tomaszczyk (since 2006), and in Munich, under the supervision of Professor Hans Sauer (March – July 2007). Mikołaj Deckert received his MA and PhD from the University of Łódź (PhD dissertation “Language structure and meaning in English-to-Polish subtitling”). His research interests focus on translation theory and practice, corpus approaches to media discourse, as well as cognitive linguistics and pragmatics. Łukasz Dróżdż received his MA in linguistics from the University of Łódź. During his work in the projects IntUne, National Corpus of Polish, Classfiers, PLEC, CESARand Transforming, he has developed software responsible for Web crawling, information retrieval, RDB and XML impor t/export, parallel corpus acquisition and alignment, social media analysis, as well as Web backends for the PELCRA group search engines and corpus interfaces. Marek Molenda received his MA degree in linguistics from the University of Łódź. He has been involved in the development of the PLEC corpus, and he has conducted corpus-based research into spoken language, as used by Polish learners of English.